Cream Filled Chocolate Eclairs, easy to make and always great anytime! Cream Filled Chocolate Eclairs – Easy to make and always great anytime! These cream filled Chocolate Eclairs are a pure delight to make and eat! 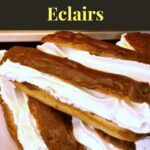 The eclairs themselves are made from a light choux pastry, the filling a lovely vanilla flavored fresh whipped cream and the topping a smooth and delicious chocolate. You can make these eclairs any size, sometimes it’s nice to make them small, say finger size for tea parties, or longer for a full indulgence! Whatever you decide, you won’t be disappointed in these! 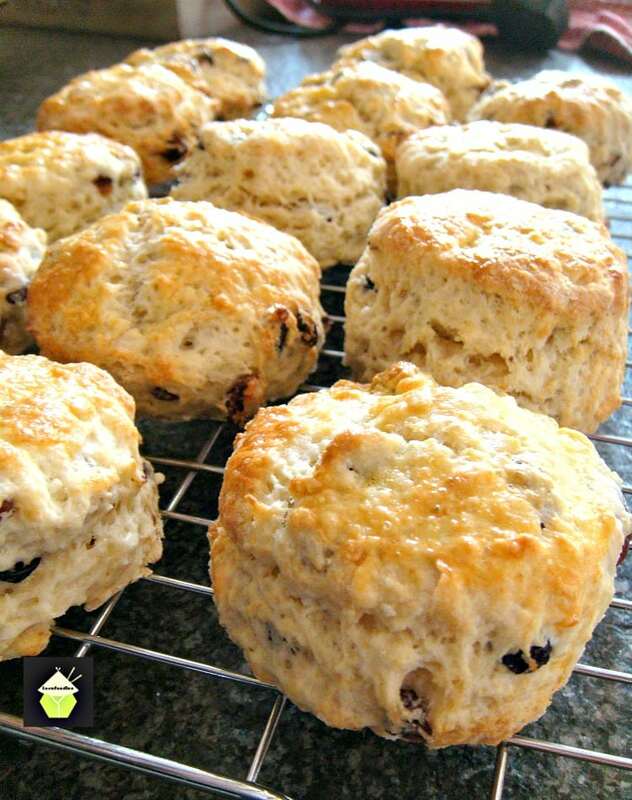 They are very popular in the United Kingdom and often served during Afternoon tea with a variety of other goodies! So let’s see the recipe. 1. Preheat the oven to 220°C (fan 200°C / 425° / Gas 7). Grease a large baking sheet. 2. Put the butter in a heavy-based pan with water and heat until the butter melts. 3. Bring to the boil, add the flour, then remove from the heat. Stir vigorously. 4. When a smooth paste develops, return the pan to the heat, stirring. The mixture will dry out a little and form a soft ball that comes away from the sides of the pan. 5. Remove the pan from the heat again, leave the mixture to cool slightly, then gradually add the eggs, beating really well between each egg until the mixture is smooth and glossy. 6. 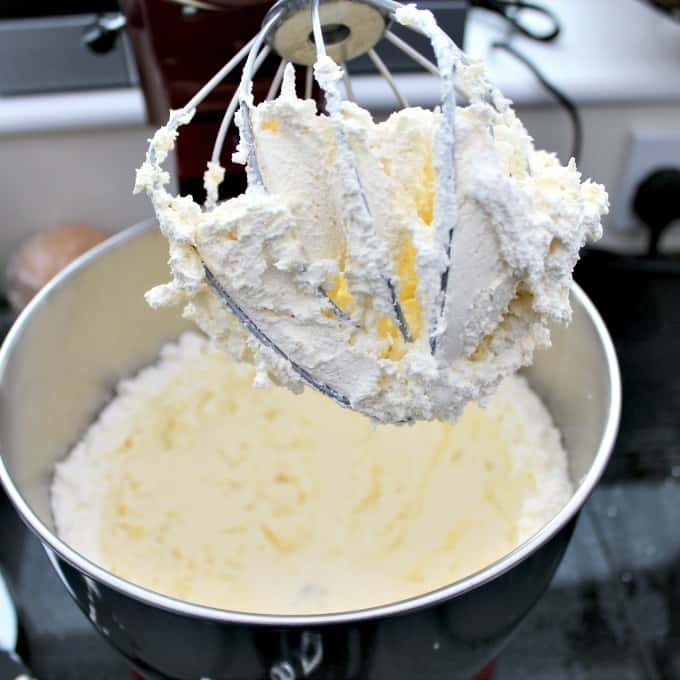 Spoon the mixture into a large piping bag fitted with a 1 cm (½ in) plain nozzle. 7. Sprinkle the baking sheet with water (a water spray with a fine nozzle is good for this). 8. Pipe the mixture onto the baking sheet into 7.5cm (3in) lengths, leaving room between each éclair for them to spread a bit. 9. Bake for 10 minutes, then reduce the heat to 190°C (fan 170°C / 375°F / Gas 5) and bake for a further 20 minutes. 10. Split each éclair in half lengthways and transfer to a wire rack to cook completely. You can watch a great video here how to make the pastry. 5 minutes long. 1. Put the chocolate and cream in a heatproof bowl and set it over a pan of gently simmering water, stirring until smooth and shiny. 2. 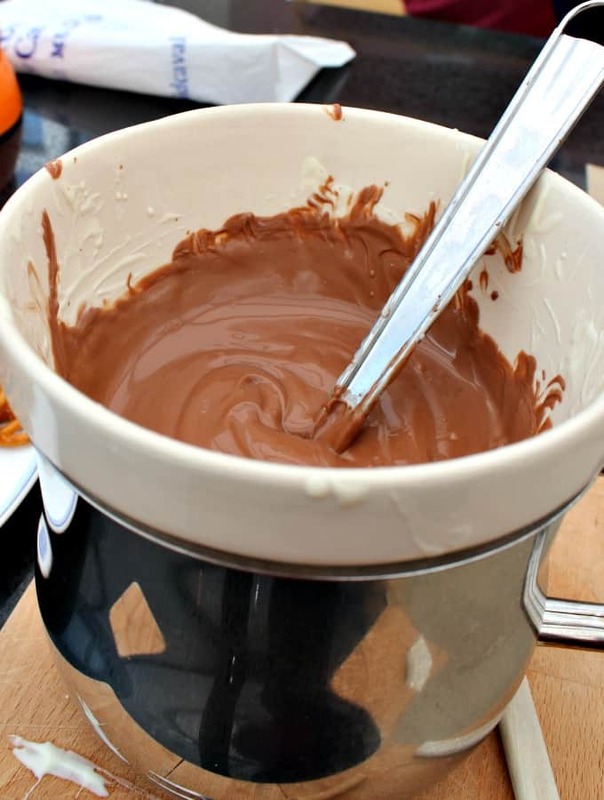 Remove the bowl from the pan and leave the chocolate at room temperature for about 30-35 minutes, or until it is cool and thick enough to coat the éclairs without dripping off them. 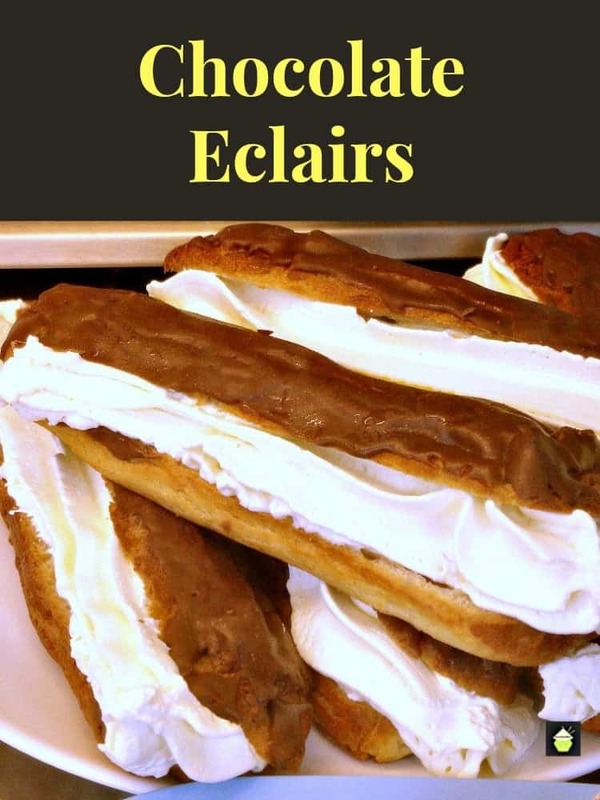 Once the éclairs have cooled, whip the cream adding vanilla extract and powdered sugar until stiff then and spoon or pipe it into the bottom half of the éclairs. 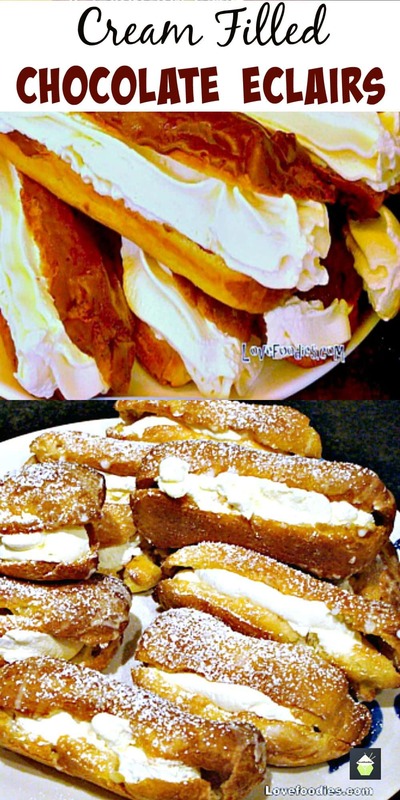 Dip the top half of each éclair in the chocolate, then place on top of the whipped cream. 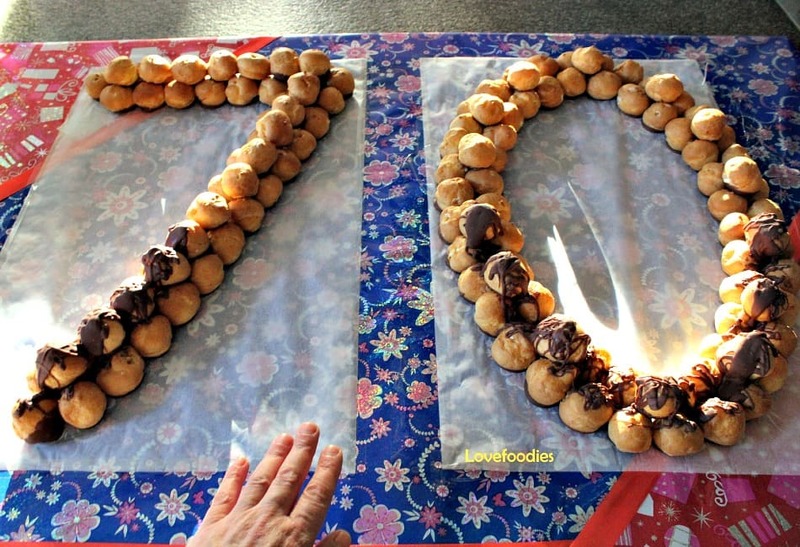 Wrap the unfilled choux fingers in a freezer bag, seal, and freeze for up to 3 months. Refresh them in a hot oven to crisp them up after defrosting, and then leave them to cool before filling. They are not suitable for freezing with the filling and topping. Here I made Caramel Eclairs. First I dipped the tops of the eclairs in a simple powdered sugar & water mix, leave to set, then piped a layer of Dulce De Leche in the filling and then a layer of fresh vanilla whipped cream. 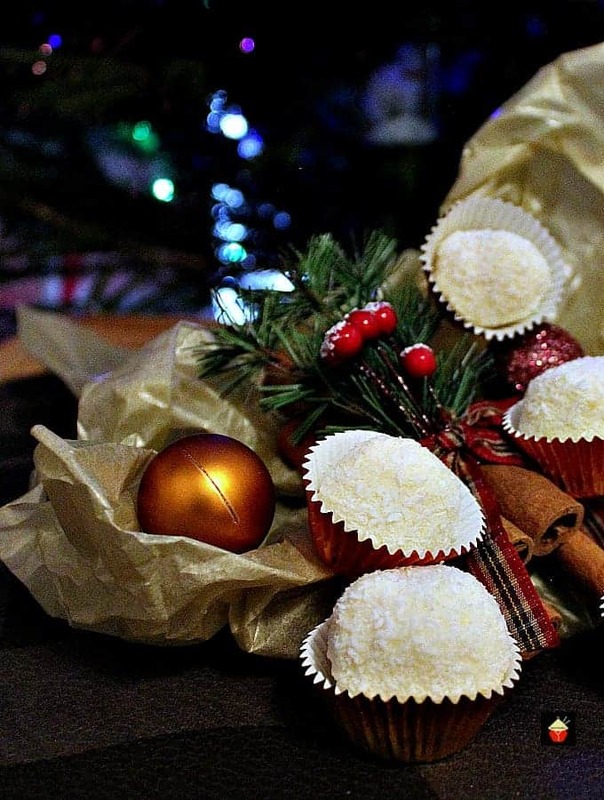 Dusted off with sieved powdered sugar for a festive feel! They were delicious with the caramel inside! 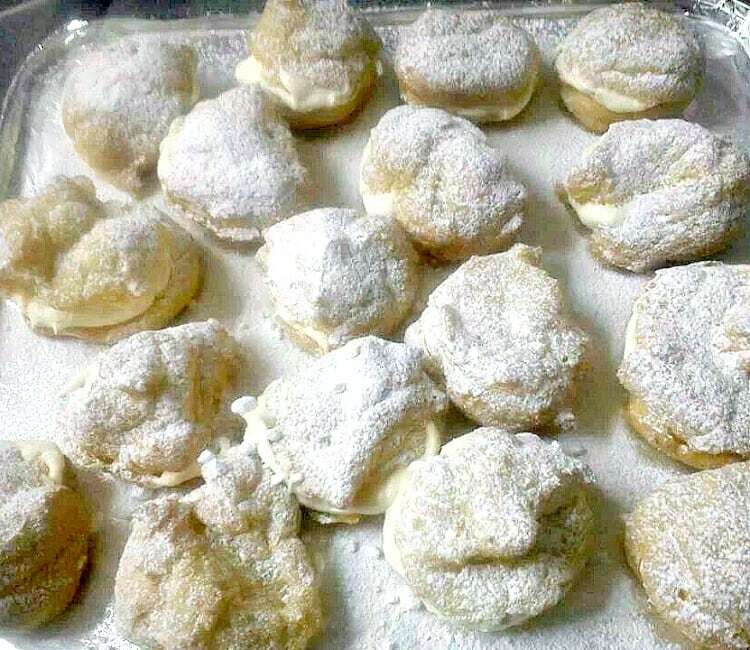 Here Frances made Cream puffs, by placing a Tablespoon of the mixture on the baking tray, cooking as normal, then when you remove them from the oven, pierce a hole in the puffs to let the air out and allow to cool on a rack. Then make a larger hole and pipe whipped cream in them, or cut them in half and spread the cream, and make sandwiches. This is some I made for a 70th Birthday for my mother in law. Everyone really enjoyed it and thought it was a fun idea! 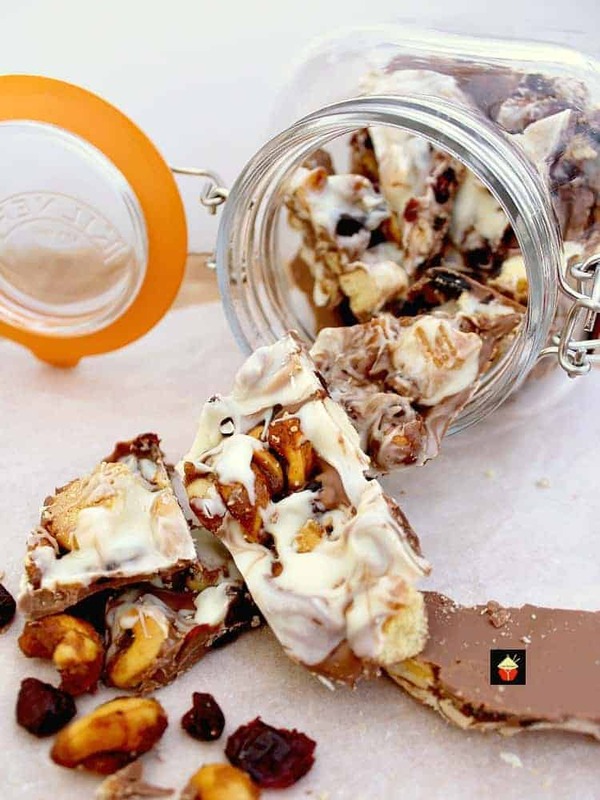 Here are a few more lovely tea party recipes for you to enjoy! Preheat the oven to 220°C (fan 200°C / 425° / Gas 7). Grease a large baking sheet. Put the butter in a heavy-based pan with water and heat until the butter melts. Bring to the boil, add the flour, then remove from the heat. Stir vigorously. When a smooth paste develops, return the pan to the heat, stirring. The mixture will dry out a little and form a soft ball that comes away from the sides of the pan. Remove the pan from the heat again, leave the mixture to cool slightly, then gradually add the eggs, beating really well between each egg until the mixture is smooth and glossy. Spoon the mixture into a large piping bag fitted with a 1 cm (½ in) plain nozzle. Sprinkle the baking sheet with water (a water spray with a fine nozzle is good for this). Pipe the mixture onto the baking sheet into 7.5cm (3in) lengths, leaving room between each éclair for them to spread a bit. Bake for 10 minutes, then reduce the heat to 190°C (fan 170°C / 375°F / Gas 5) and bake for a further 20 minutes. Split each éclair in half lengthways and transfer to a wire rack to cook completely. Put the chocolate and cream in a heatproof bowl and set it over a pan of gently simmering water, stirring until smooth and shiny. 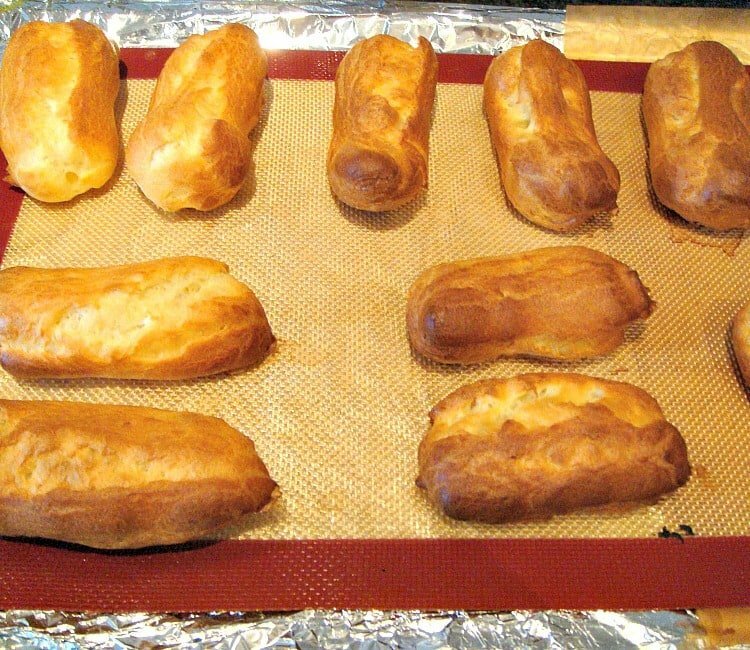 Remove the bowl from the pan and leave the icing at room temperature for about 30-35 minutes, or until it is cool and thick enough to coat the éclairs without dripping off them. 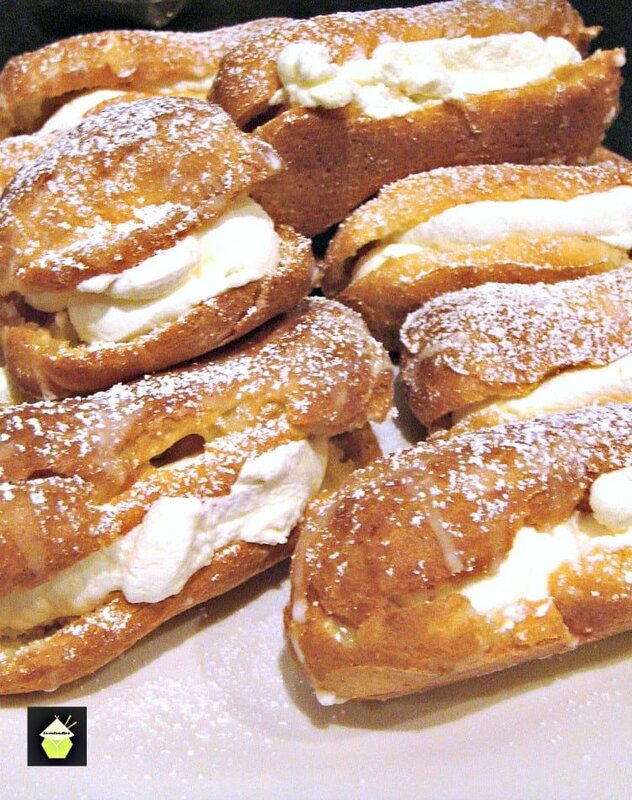 Dip the top half of each éclair in the icing, then place on top of the whipped cream. Since when are eclairs made with whipped cream? That should be custard! Hi Lana, you can add whatever filling you wish in eclairs! I am from England and have had fresh whipped cream in eclairs in many afternoon tea shops, as well are creme patisserie. Personally I prefer fresh cream in the filling, just like when you have a cream tea in an English Tea room! I think you will find many recipes and interpretations will vary depending on where in the world you live or are from! 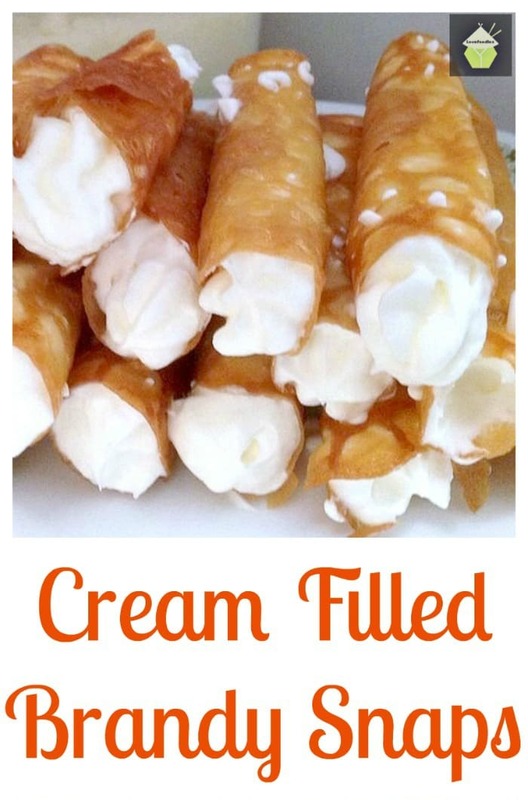 Please don’t let the fact that these have whipped cream put you off from trying them. the sky’s the limit with how you wish to serve these!